Yesterday may have just been an average Sunday for most people, but fans of the Merc With the Mouth were celebrating the first anniversary of Deadpool's theatrical release. Star and producer Ryan Reynolds celebrated the occasion with a new social media post, featuring a hilarious image that he put together, which follows the tradition that the first year anniversary gift should be paper. Of course, the actor took this anniversary to a whole new level with a hilarious image of Deadpool's own toilet paper. Here's what the actor had to say on social media below. "One year ago today, we released Deadpool. And the gift for a one year anniversary, is of course, paper." Ryan Reynolds sent out this new image on Instagram yesterday, which features an image of his title character, wearing the two katana swords on his back, which now serve as toilet paper holders. This "Deadpool Ultra Soft" toilet paper also comes with "60% more sheets" plus hemorrhoid cream, which claims it can absorb up to "$240 worth of pudding," along with the smiling poop emoji. Hilariously, if this product were actually released, there would probably be legions of fans lining up to buy this TP with Deadpool's endorsement. Deadpool ended up shocking the world during its opening weekend, with a record breaking box office debut of $132.4 million, the highest ever for an R-rated movie. It would go on to earn $363 million domestic, falling just short of The Passion of the Christ's domestic record for an R-rated movie ($370.8 million), but it did pass The Matrix Reloaded's tally of $742.1 million to become the highest-grossing R-rated movie worldwide, finishing its run with $783.1 million. Most box office analysts had predicted that Deadpool would win its opening weekend with a relatively modest take between $40 and $50 million, but it went on to shatter those expectations and become a cultural phenomenon. 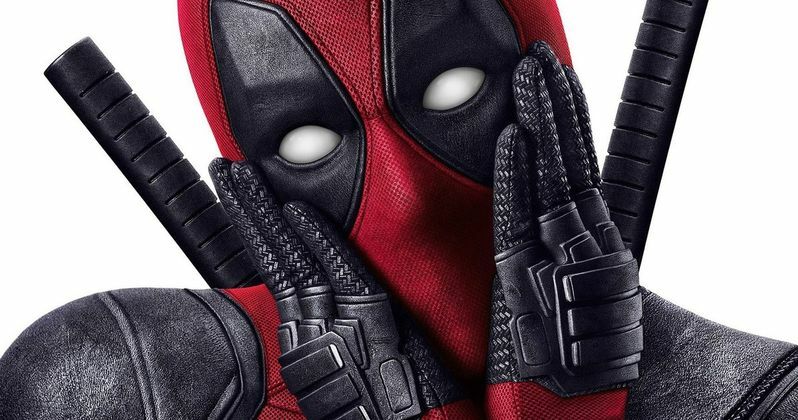 The R-rated superhero adventure Deadpool also became the top-grossing X-Men film in history, with its success forcing studios to re-evaluate their PG-13 approach to superhero movies. 20th Century Fox's upcoming superhero movie Logan was confirmed to be R-rated after Deadpool's successful run, with Warner Bros. even releasing an R-rated edition of Batman v Superman: Dawn of Justice on Blu-ray and DVD following its theatrical run. Another report claimed Warner Bros. is considering making Suicide Squad 2 an R-rated movie, but that has yet to be confirmed. Ryan Reynolds will also return for Deadpool 2, which will be directed by Chad Stahelski, following the departure of original Deadpool director Tim Miller. No story details have been given for the sequel yet, but the post-credits sequence for the original Deadpool featured the Merc With the Mouth confirming that the iconic comic book character Cable will be in the sequel, although he has yet to be cast at this time. While we wait for more on Deadpool 2, take a look at Ryan Reynolds' anniversary tribute to Deadpool below.